Dan’s passion is the need to help people, which prompted his career in massage. 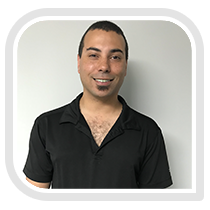 Dan graduated from the Massage Institute of New England in 2007, and he couldn’t be more proud of his career. His specialties include Bamboo massage, Deep Tissue, a Swedish Relaxation. Dan’s treatments offer a therapeutic approach with a customized pressure to ensure maximum relief. His professional demeanor and dedication to the field will having you leaving with a smile on your face. Dan’s other passions in life include the outdoors, traveling, animals and volunteering his time as a firefighter.